Rigida is a lightweight, all-carbon fiber fork for race and sports bikes that shares the DNA of 3T's all-conquering Funda range. Rigida has a simplified fork-blade section compared to Funda, less aerodynamic, but laterally more rigid. 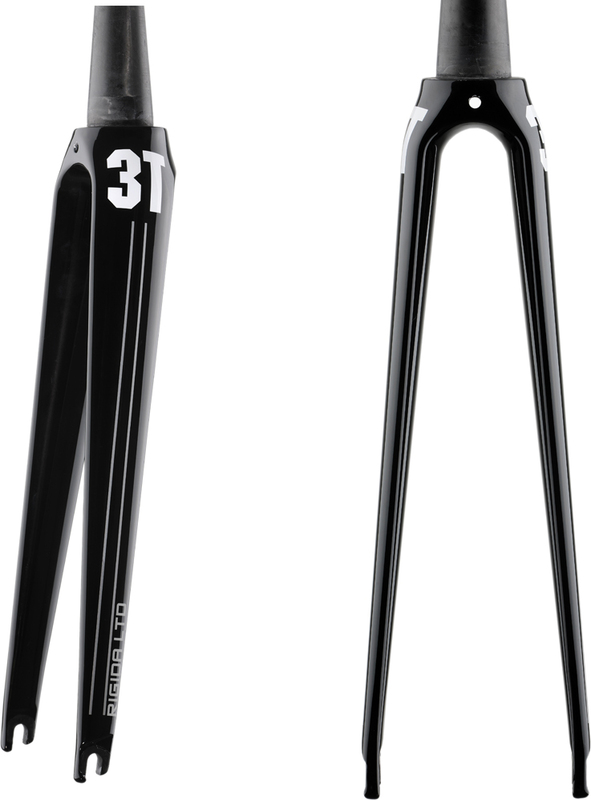 Rigida's oval-section fork-blades taper to narrower ends than Funda's aerofoil blades, making the fork's appearance more conventional. Rigida Pro is finished in Gloss Black, with white pinstripes and the 3T logo at the shoulders in white. Choice of tapered steerers for fitment to the latest-generation carbon-fiber framesets.